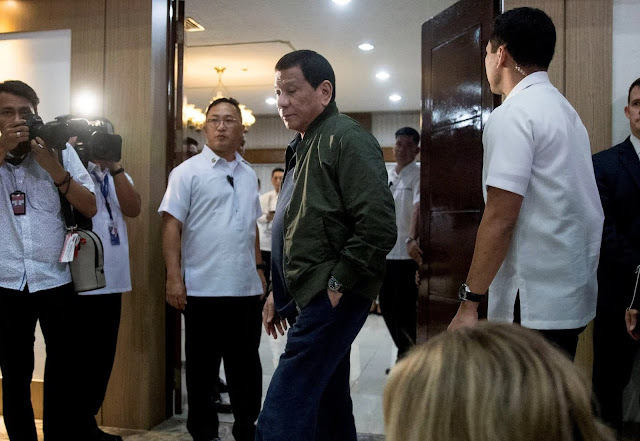 MANILA (Kyodo) -- Philippine President Rodrigo Duterte will visit Japan in May, primarily to attend a regional conference, official sources said Friday. Duterte will attend the 25th International Conference on the Future of Asia in Tokyo, organized by Nikkei daily, which will be held on May 30 and 31. It will be his third visit to Japan since he became president in 2016. Duterte had initially been scheduled to attend last year's Nikkei conference to give a speech, but canceled his appearance.